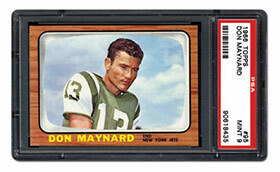 The 1966 Topps football set turned 50 this year. This brown-bordered classic requires a modest 132 total cards, but don’t let that fool you. The set is still very challenging due to those pesky, colored borders that can reveal the slightest touch of wear. From Namath to the tough Funny Ring Checklist, we break down this terrific set in the following piece. 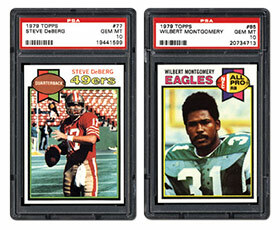 By the 1970s, mainstream Topps football sets started to dramatically increase in size. This was partly due to the earlier league merger and the increasing interest in the sport. 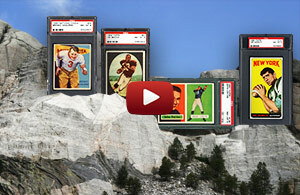 In 1979, Topps released a 528-card set, one built upon the shoulders of key rookie cards like those of Earl Campbell, Ozzie Newsome and James Lofton. In the next article, we break down this interesting gridiron issue. 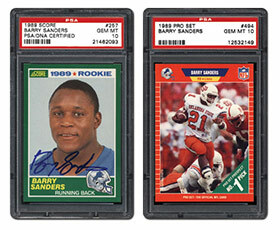 Barry Sanders is one of those players who suddenly walked away from the game even though it appeared that the Hall of Fame running back could still perform at a high level. Unfortunately, for most athletes, the opposite is true. Most hang on too long, ultimately becoming a shell of their former selves. PSA decided to interview a hobbyist whose collecting focus is centered on a man who seemingly went out on top, a rarity indeed. Which of the following NFL players will have the biggest impact in the hobby this season? The summer season is always very busy for us with the PSA and PCGS Set Registry awards to organize, two luncheons to host, and three trade shows to attend. Now, with the summer months behind us, we will be focusing again on new set requests and player set additions. Expect to see the Set Request web page updated this week. Thank you for your patience. Should you have any questions, please feel free to contact us at [email protected].